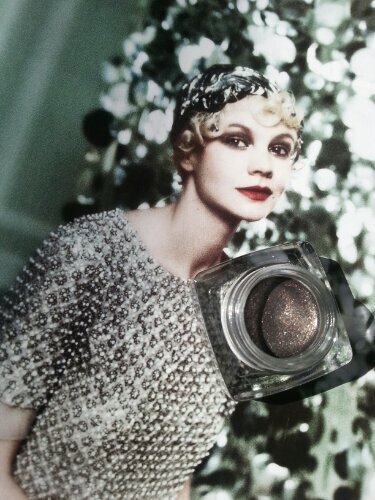 A perfect touch to your 1920s make-up look. Use this award-winning cream shadow as a glittery base for your brown smokey eye. Then line the lower lashline with black/brown liner, and layer this antique gold cream shadow on top.